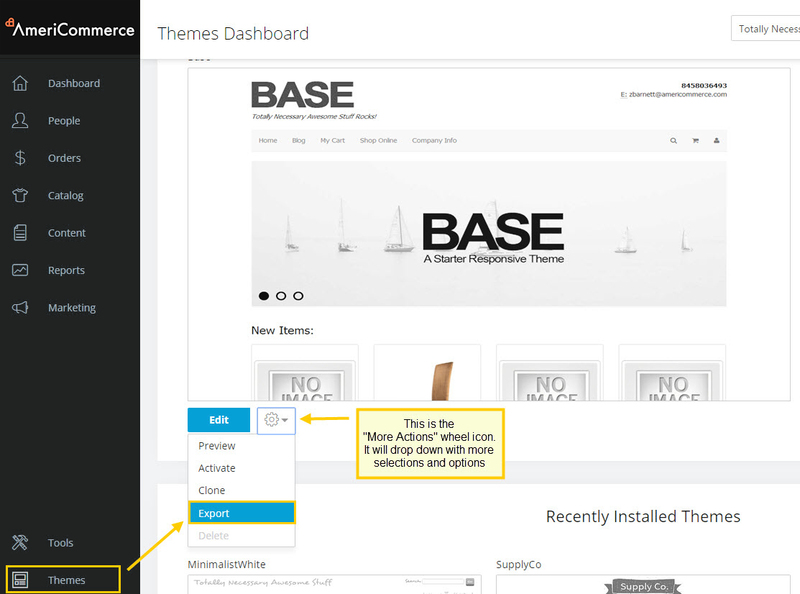 One of the great features of the Theme System is the ability to export and import themes to your site. 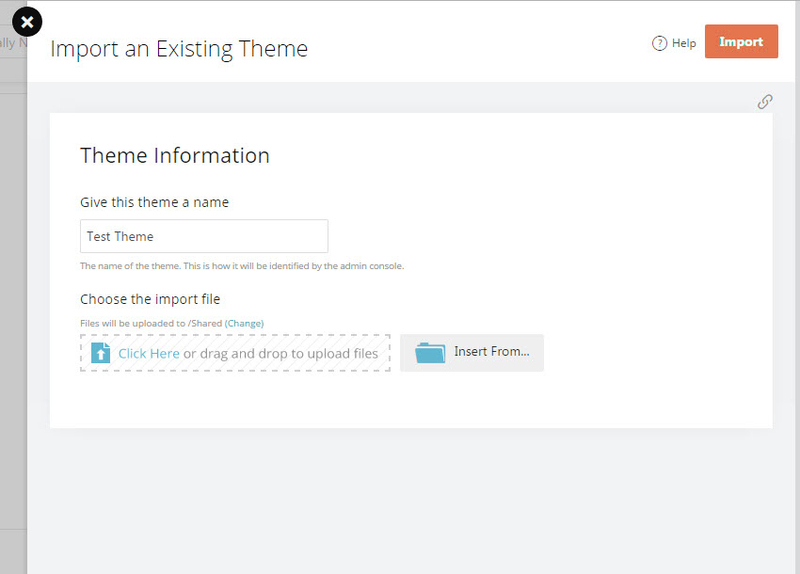 To get started go the to theme you want to export and then click Export from the More Actions menu. This will generate a ZIP file with all the files from your theme. This includes theme files, settings, images and css. To Import, select Themes > Import from the More Actions menu. This will open the Theme Import layover. In this window, enter a name for the new theme and choose the file using the file browser.